Here is a quote that is true for some of the properties of the largest hotel chains in the world that are discussed in this post. These global hotel chains have been transforming the hospitality industry and our experience as hospitality enthusiasts. For most of us, heaven is the place where all our wishes might come true. And, since our childhood, we keep painting a picture of heaven in our mind. We continuously come up with delicacies, destinations, and luxuries that give us a heavenly feeling. While we are busy painting this picture, some hotel chains across the globe have successfully understood all the comfort and luxuries humans want. These bigwigs of the hotel industry might cost a bit, but you can be rest assured to get an experience of a lifetime. Whether you are planning to visit a place or looking for a career change in the hospitality industry, these bigwigs ensure that you get nothing less than the best. 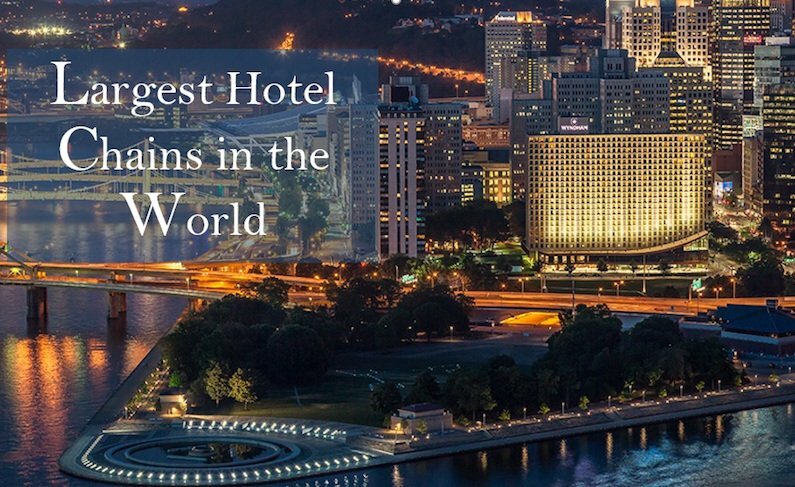 We have compiled in this post, a list of the 10 largest hotel chains in the world. They are the biggest movers and shakers of the hospitality industry and also the most dynamic ones. Founded in the year 1980, this hotel chain has grown exponentially over the years. With its subsidiaries spread across 100 countries, it doesn’t come as a surprise that it has revenue earnings of about 5.62 billion US dollars. From the revenue earnings and expansion plan of Starwood, it sure is one of the largest hotel chains in the world. Through a wide range of carefully curated moments, the hotels of this brand give you a heavenly experience. From stylishly designed resorts to enigmatic hotels, this brand does everything possible to ensure that the customers cherish their stay forever. Think of which hotel chains make up the Starwood Hotels and resorts and you will come up with the most exquisite collection. There is a reason we have started with Starwood in our list of top 10 largest hotel chains in the world. Think of luxury or excitement and you will find it all in one of its hotels. As they say, Spa, Scuba, Ski- you have it all here. The chain consists of business hotels to luxury resorts and everything in between. You might have seen these hotels listed in several list of world’s most beautiful hotels but did you know that they all belong to the Starwood Umbrella? Marriott is acquiring Starwood Hotels & Resorts in the biggest ever hotel chain acquisition as announced by Marriott in November 2015. The acquisition would be performed in phases and the overall will take some time. With the expanse of the Starwood chain, does this surprise anyone? As the latest update, the acquisition of Starwood Hotel Chain by Marriott is confirmed and complete now. Some hotel chains reach the top and expand globally because they give preference to quality over quantity. This Global hotel brand is one of them. With over 100 properties spread in 40 nations, it gives you a feeling that you’ve never before. This Canadian Luxury hotel brand has choicest of properties in close to 100 locations worldwide. Each of these is a treat to the hospitality enthusiasts and travellers who love the quality of service and seek luxury. Located in the most scenic locations, this group came into existence in 1960. The Four Seasons has accomplished a lot in all these years primarily because it has always been customer-centric and focussed on offering the best to its customers. Four Seasons Hotel and Resort have been a proud member of Fortune’s list of ‘top 100 employers to work for’ every year since the survey started 18 years ago. What an achievement one must say. If you are a hospitality professional, you now know which hotel chain to aim for. Also, look for other top hospitality companies to check why this hotel chain stands out of the crowd. Consisting of over 3700 hotels, this chain of hotels is extensively spread across various nations across the globe. Operating in over 90 countries, it sure is one of the largest hotel chains in the world. The best aspect of this hotel chain is that unlike the rest it focuses on comfort and simplicity. The Accor Group lives by this principle and ensures that its customers experience simple beauties of life. Originated in 1967, this bigwig is headquartered in Paris. It is one of the most popular hotel chains across the globe for its class and service. This widely popular brand has numerous subsidiaries too. Heard of Sofitel, Novotel, Ibis, Pullman and Grand Mercure? They all come under the AccorHotels umbrella and we are not done yet. There is more and the list is getting bigger with each passing year. Swissotel, Raffles Hotels and Fairmont will soon be under the AccorHotels brand as the deal gets finalised this year. Revered as one of the fastest growing chains of hotels in the Middle Eastern countries and Asia, it once held the tag of the World’s Largest Hotel Family and still continues to be one of the largest hotel chains. It came into existence in 1946. Headquartered in Phoenix, U.S, this group has revenue of over 206 million US dollars per year. Consisting of over 4000 properties worldwide, this brand runs on a legacy of excellence. With over 2200 hotels under its wings, this company has emerged as one of China’s largest hotel chains and a global hotel giant. With a phenomenal history of 80 years, this group has hotels spread in different parts of China. Its hotels are known for their architectural marvels. In addition to their beautiful design and decorations, these hotels have a reputation for world-class amenities. If you plan to visit China, you should definitely consider staying one of its hotels to make your trip a memorable experience. Spread over 72 countries, the Marriott International Group is widely known for its classical poise and elegance. This group is a proud owner of almost 4000 lodging properties across the globe that makes it one of the top hotel chains in the world. The number has even increased now with the Starwood acquisition. In fact, under the humongous shade of this phenomenal group, there are some of the world’s famous and luxurious hotels like Residence Inn, The Ritz-Carlton, Bulgari, Autograph Collection, and much more. 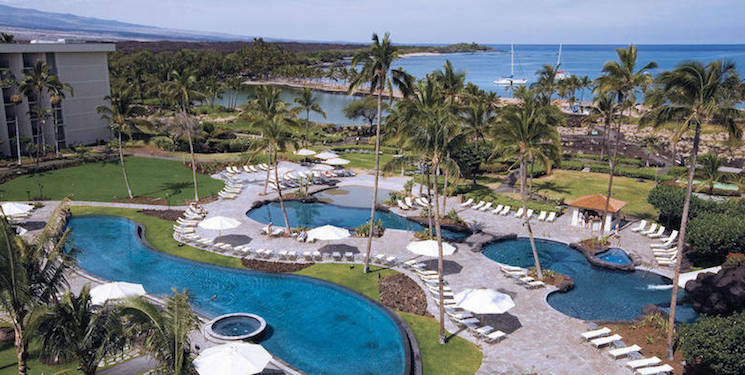 As one of the largest hotel chains in the world, Marriott has an opulence of its own. It is also regarded as one of the most innovative hotel chains of the world making it to the Forbes list of most innovative firms. Headquartered in Washington, DC, it is popular for its enchanting resorts and hotels. Primarily focused on luxurious stays, this group also focuses on budgeted stay so that people from all sections of the society can have a good time. Marriott has over 195000 hotels rooms in the pipeline and along with several planned acquisitions. Does this name sound familiar? Yeah. You got it right. Founded by Conrad N. Hilton, this is now more or less a Hotel consortium that was once owned by famous celebrity Paris Hilton. This group had humble beginnings, but the group has turned into a huge empire of 4200 plus hotels. From luxury brands like Curio Collection and Waldorf Astoria to diversified hotel chains like Double Tree and Conrad by Hilton; Hilton Worldwide has all that it takes to be considered in the elite club of the largest hotel chains in the world. For more Hilton hotels Look at our other post on Best Hilton Hotels in the World. Spread over 90 countries, this group has been otherwise popular due to the antics of Paris Hilton who is often in the news for wrong reasons who still continues to be a shareholder. Hilton has launched innovative Tru by Hilton brand in 2016 and plans to expand globally through this innovative budget hotel chain. This hotel group has a presence in over 100 countries and has almost 4840 properties under its global brand more popularly known by its acronym IHG. These astounding numbers clearly indicate why it is listed amongst the bigwigs of the hotel industry. Some of the largest hotel chains are subsidiaries of this British multinational Hotel brand. Crowne Plaza, Hotel Indigo, Candlewood Suites, Holiday Inn Express, and Magnificent Mile are some of them. These hotels are exquisitely designed and offer their customers with all the world’s luxury and comfort. This is one of the reasons why it should be on your must-visit list of global hotel chains. This chain is revered as the innovators in the hotel industry. Choice Hotels takes pride in introducing telephone service in every room and round the clock desk service. It is these basic things which have helped it reach where it is now; a reckoned global hotel brand. This gigantic group has over 6300 properties and approximately 5, 00,000 rooms spread over 30 countries. Under this huge hotel umbrella, there are numerous branches such as Choice Hotels, Quality, Econo Lodge, Quality Inn, etc. The impeccable service of this brand has made it a leading hotel chain in the world. This excellent Hotel group has 7,645 luxurious properties which make it by far one of the largest hotel chains in the world. Spread over 66 countries, this group that was founded in 1981 has grown multiple folds in 3 decades. It is also known for offering the best guest loyalty rewards in the form of free nights at its hotels, gift cards, airline tickets and much more. These freebies attract guests to this group year after year. With a tagline of ‘The Right Way. The Wyndham Way’, this brand has continued to soar in the sky for years now. Hope you liked our collection of the largest hotel chains in the world. While we portrayed 10 of the global hotel giants, the post encompassed over 40 leading hotel chains that are subsidiaries of these groups. If you are planning to visit one of the hotels from these hotel chains, do not forget to read our Tips on getting the cheapest hotel deals. For all other information on the hospitality industry and hotel industry, please visit our homepage and use the search box to look for hospitality news, hospitality jobs and much more.